Rumors that Apple is getting ready to unveil the first iPhone without a headphone jack are starting to gather pace, and now we have a Chinese accessory maker showcasing not one Lightning-to-3.5mm headphone adapter, but three. The three accessories, all branded as Tama Electric, allow users who own headphones with 3.5mm connectors to plug them into Lightning ports on iOS devices. 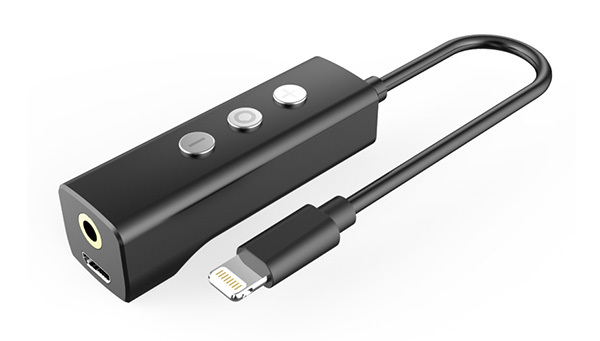 One of the three even goes a step further by including a micro-USB port that would allow power to be delivered via the Lightning connector even when headphones are in use. That would rectify one potential issue that has been put forward repeatedly when the subject of a non-headphone jack-equipped iPhone is brought up. Right now, none of the three Tama Electric accessories have prices or delivery dates, so it’s possible that none of them are actual products but rather designs for what could be made available at some point in the future. Obviously, none of them are likely to be part of the “Made for iPhone” program, given the fact such connectors are not yet provisioned for. If the iPhone 7 does ditch the legacy headphone connector, though, we expect that issue to be rectified pretty swiftly indeed. Apple has been rumored to want to ditch the 3.5mm connector for a few months now, with part of the justification being the fact that even thinner iPhones would be possible once that big circular hole is eliminated. Lightning is capable of filling the void left by such a move, but all of those using 3.5mm headphones right now would be left in the lurch, unless they buy an adapter, of course, which brings us back around to Tama Electric. With Apple expected to announce the iPhone 7 sans 3.5mm connector in September, we should have a lot more answers in the coming months, at least. Can you try and make sense once and a while. Crook wants your “lightning” port to be under constant stress… must have calculated by now percentage of failures. Crook’s greed is only exceeded by stupidity of iFAGs. Those accessories are huge. But at least they have a charging port built in. some fags won’t even bother removing dongles. Others will buy cases with dongles built in. iShit with a dongle hanging out and flapping around.